As a specialised Healthcare IT service provider, Axiom IT understand the problems IT Healthcare Practitioners face. As practitioners and practice managers, you strive to achieve the highest quality of care for your patients. Your IT systems should be there to help you, not hinder you. By partnering with Axiom IT, we will ensure up-to-date and uninterrupted access to the IT systems giving you peace of mind so you can focus on what’s really important. Why choose Axiom IT for your practice? Strong relationships with leading software vendors. Call Axiom IT today on 1300 991 992 to discuss your practice needs! Axiom IT have proved themselves to be reliable, punctual, knowledgeable and helpful every time we call on them. I have no hesitation in recommending their services to any medical practices, or other businesses, which require a capable and reliable IT Support partner. 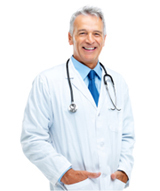 Axiom IT consistently provide a great service for my private practice IT needs.